Satisfy your need for A Sweet Fix! The Scripps Ranch Farmer’s Market is never at a loss for vendors that serve great food, especially fresh, homemade treats. A Sweet Fix is the newest addition, offering zucchini bread, banana-coconut bread, mini apple pie and chocolate chip cookies. 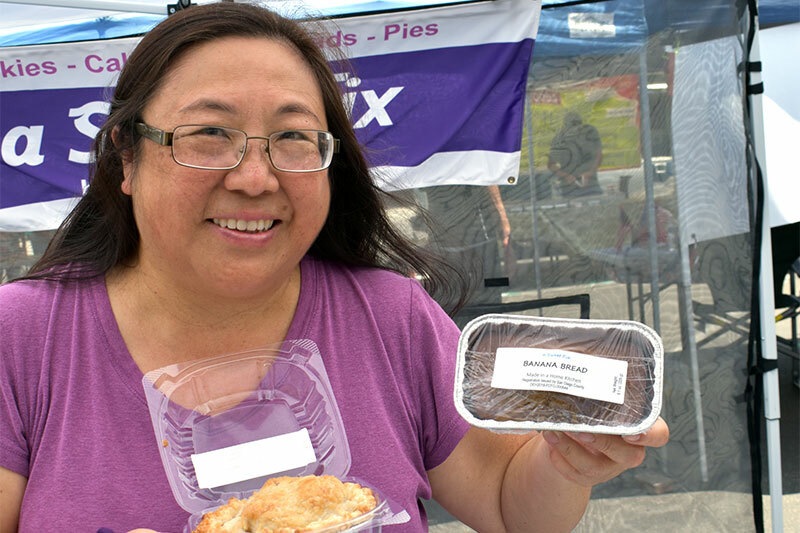 Owner Margaret Ho opened her business only about four weeks ago and sets up shop each Saturday at the Farmer’s Market. She personally bakes these items in her home kitchen, which is approved and licensed by the California Health Department. Last week she was selling sweet loaf breads, including lemon breads, in two sizes. The smaller ones were about 9 ounces and selling for $3. The bigger sizes sold for $9 each and provide about 10 slices. 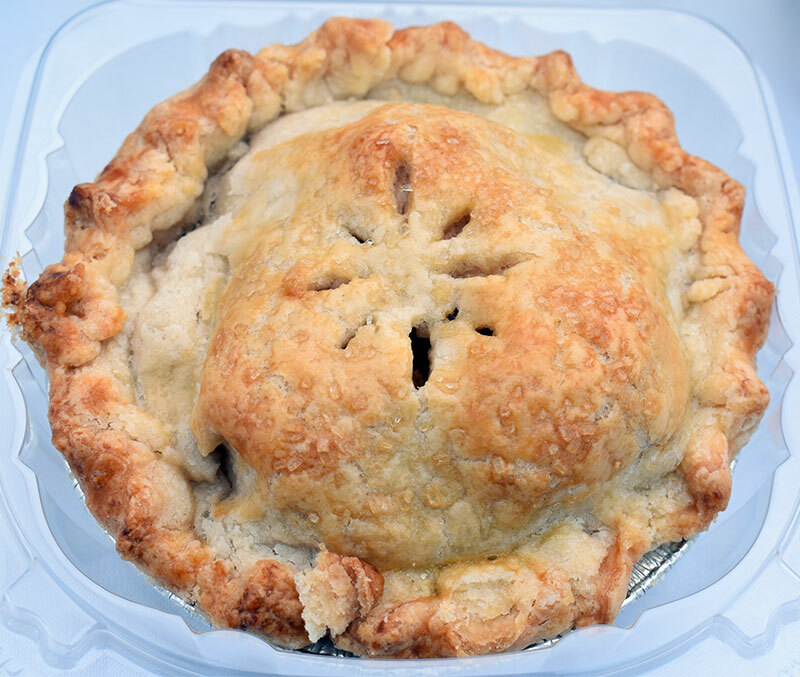 Mini apple pies feature Granny Smith apples and homemade crust. A Sweet Fix will offer pumpkin bread in the fall and cranberry-orange bread for the holidays. 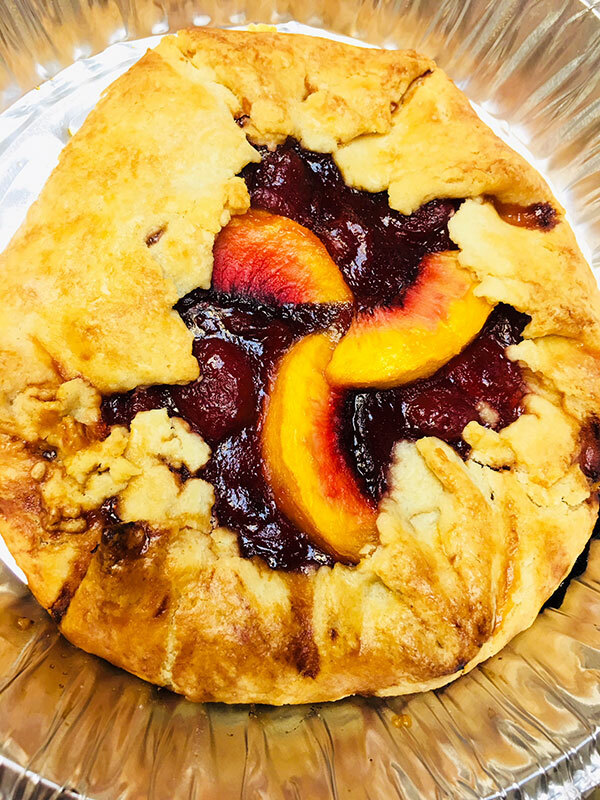 Sweet fruit items include peach cobbler, cherry crisp and a cherry-nectarene crostata, which is kind of a fruit pie with an open top. The mini apple pies look wonderful and fresh. They are made with Granny Smith apples and homemade crust. Ho said she can make larger versions of the pies if customers order them ahead of time. “All of the fruit products are made when they are seasonal, so there is nothing canned,” she explained. The cherry crisps include “fresh cherries and a mix of oats, brown sugar, all the good stuff on top,” she said. Her peach cobbler includes about two peaches in each and serves up to four people. Chocolate chip cookies are a best seller. “If you warm up any of these fruit product … put on a little dollop of ice cream, it’s just perfect,” she suggested. 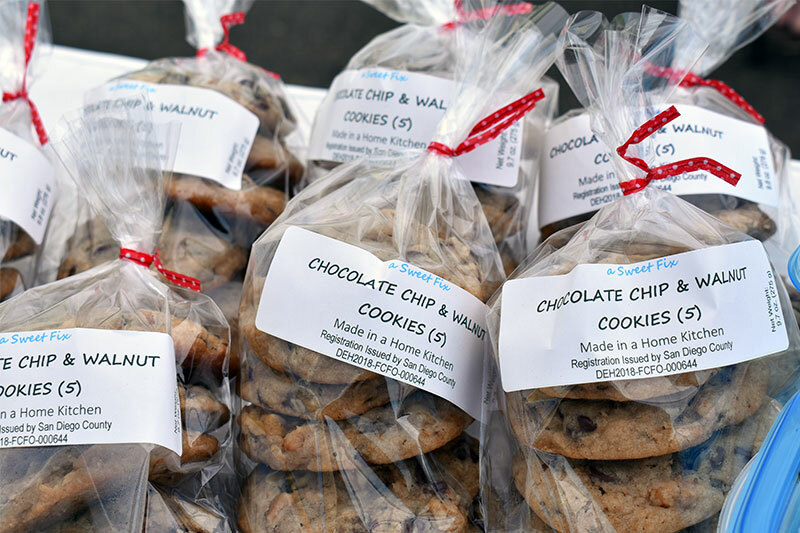 One of the top sellers are the chocolate chip cookies which come with or without walnuts. Ho guarantees they are jammed with chocolate chips and, sure enough, one bite proves this fact. A Sweet Fix will offer a Paint Your Own Cookie for the kids starting in mid-October at the Farmer’s Market. There will be three different designs available, each for $5, including a paintbrush. A Sweet Fix will have white chocolate-cranberry-pistachio cookie available for the holidays, as well as a ranger cookie and pecan pie. A Sweet Fix accepts pre-orders and custom orders. Contact A Sweet Fix at aSweetFix.ca@gmail.com. Find A Sweet Fix at the Scripps Ranch Farmer's Market, which is open for shoppers from 9:30 a.m. to 2 p.m. every single Saturday at 10380 Spring Canyon Road, in the Innovations Academy parking lot. Visit srfm.org.